As a member of the Anderson Area Chamber of Commerce, you have are welcome to help yourself to some FREE SAVINGS with the FREE prescription drug card. 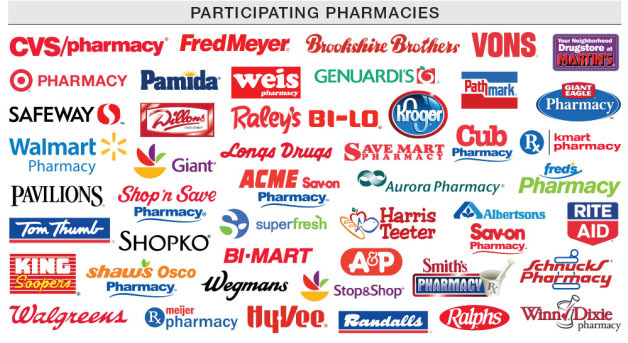 The cared can be used to get discounts on most brand name and generic medications, with discounts up to 75%. Great for people with Health Savings Accounts (HSAs), High Deductible Plans, Medicare Part D, or Non-Covered Medication. It's pre-activated and can be used immediately at over 68,000 pharmacies nationwide. The program's LOWEST PRICE logic guarantees that you pay the lowest discount off Average Wholesale Price-AWP, discount off MAC pricing, or Pharmacy Promotional/Retail price.